« Confluences » celebrates the city of Nantes, confluence zone and favorable place to innovation, creativity and daring. « Confluences » is an instrument of light that subtly vibrates according to the river movements and the changes of luminosity. The pure lines of the strong base symbolize the strength of an audacious city, while the artwork acknowledges, with the movements of its head, the innovation and adaptation capacity of Nantes. Light, mist and water: the Nantes environment makes the artwork alive and tells the story of the Loire ballet, the marriage of exotic essences and the alchemy of a promising crucible. The artwork was inspired by the Institute for Advanced Study (IEA) in Nantes, an exception in the French and international research landscape. Located at the confluence of the rivers Loire and the Erdre, the IEA hosts a new group of human and social sciences researchers from all over the world every year. In its premises cradled by the ebb and the flow of the Loire, it facilitates a dialogue of excellence free from economic and political demands. The installation aims to enhance the value of the technical gesture and the nobility of materials; thus, the work has been assembled following to the traditional lead technique. Moreover, the stained glass contains hand-blown glasses of the ‘Living Heritage’ factory of Saint-Just-Saint-Rambert (label ‘Patrimoine Vivant’), and its lines are enhanced by a raw iron frame. Materials: Glass (especially hand-blown glasses from Saint-Just-Saint-Rambert and Uroboros glasses), lead, raw iron frame. 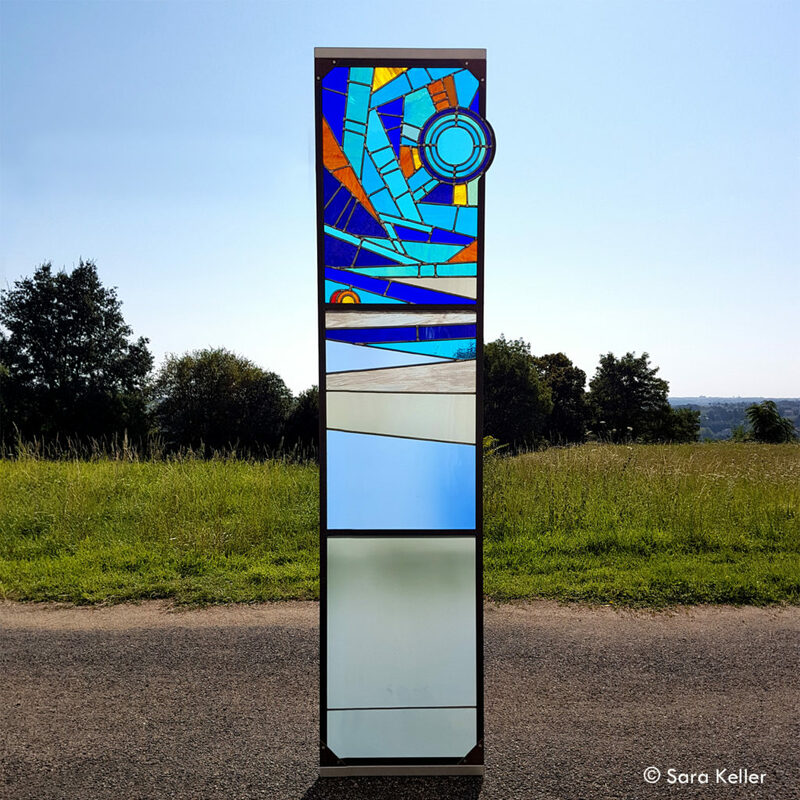 Creation and realisation of the stained-glass: Sara Keller. 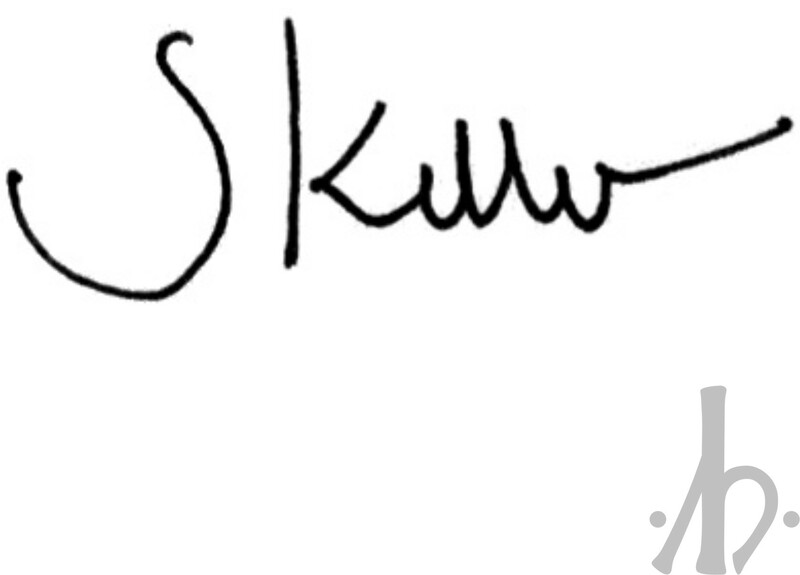 Creation of the frame and building up by the art metalworker Kallan Mounès. Creation : 2017; Installation at the IEA: 7 November 2017, inauguration on 9 November 2017 by the Director of the Institute of Advanced Research in Nantes, Samuel Jubé.